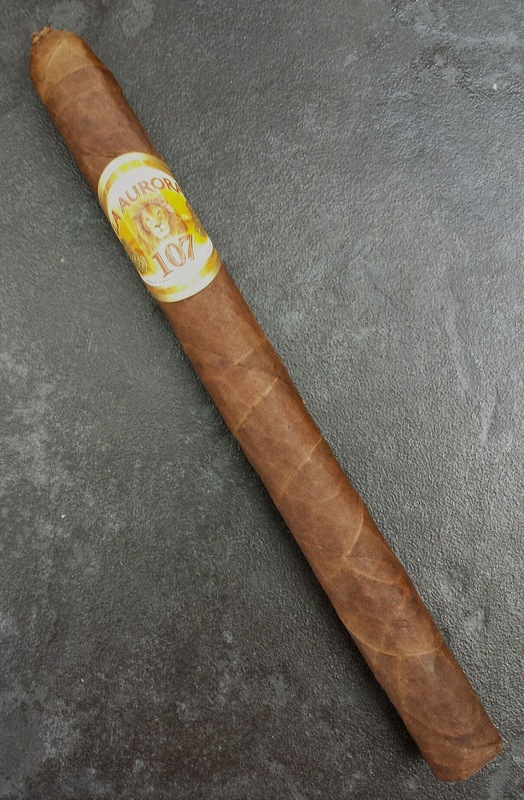 The La Aurora 107 Lancero came in this months Freight Train package from Cigar Train and sells in-store for $7.99. It's covered with a seamless Colorado colored wrapper with near invisible seams and a pig-tail cap. From the foot there is a strong sweet tea aroma and the free cold draw is predominantly flavored like brown sugar. As the 107 turns to ash there are medium bodied flavors of molasses, light black pepper, oak, leather, spicy cedar, caramel, cocoa, cream, coffee and rich tobacco. The finish was a tasty mix of sweet cream and earth. 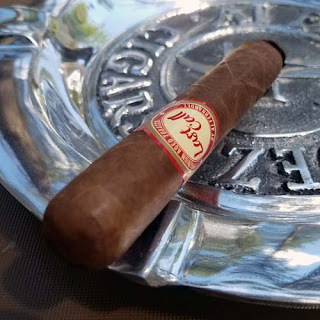 Overall this was a flavorful long burning cigar that lasted a full 60 minutes. Around the mid point the burn did need a correction, but it was fine in the second half.